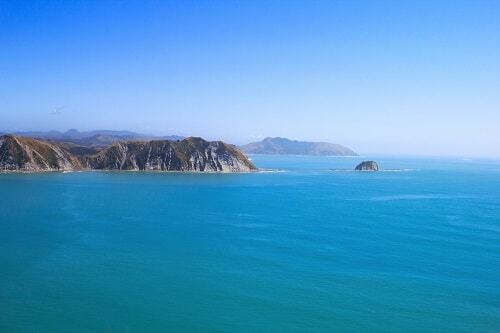 The beautiful coastal city known today as Gisborne is located on New Zealand’s picturesque East Cape. Overlooking the stunning waters of Poverty Bay, the Gisborne township is steeped in historical significance for both local Maori and New Zealand European descendants. Originally named ‘Turanganui a Kiwa’, it is said migratory tribal voyagers from two origins; Paoa of the Horouta Waka and Kiwa of the Takitimu Waka, contributed to establishing the foundations of the Gisborne we now know today. These early Maori settlers built strategic pa sites in the nearby Titrangi hilltops (Kaiti Hill) and made good use of the abundant fishing opportunities presented by what is now known as Poverty Bay. By all accounts the arrival of Captain James Cook in 1769 did not result in a great first meeting between New Zealand Maori and New Zealand’s first official European visitors. The crew of Cook’s ship Endeavour spotted the white cliffs now known as ‘Young Nicks Head’ (named after the crewman who first spotted them) and made a bee line for the shore eager to explore this “new” land and of course replenish supplies. After encountering what they presumably thought was a threatening group of local Maori, Captain Cook and his crew mistakenly opened fire and consequently left aboard the Endeavour rather hurriedly. After not being able to achieve a successful landfall for restocking the necessary provisions, Captain Cook named the inlet ‘Poverty Bay’, the name has remained in place to this day. 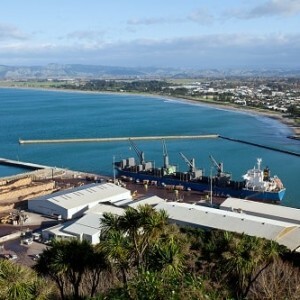 The Endeavour later came ashore further up the coast at Tolaga Bay and the crew were able to take on fresh food and water and also perform routine maintenance on the ship. Although visited by Cook in 1769, the first European settlers only arrived some sixty odd years later in 1831. Initial settlers dabbled mostly in whaling and trade, both of which subsequently experienced an increase in popularity over the following years, providing a good base for the establishment of a township. Three hundred hectares of land was purchased by the New Zealand government in 1868 for the further development of the town, this is when the name ‘Gisborne’ was given to the area apparently to avoid confusion with Tauranga – also a North Island town. The town experienced rapid development in the early 1900’s with population numbers rising sharply between 1901 and 1926. Its popularity gained further momentum during the 1950s and 1960s when the farming meat and wool industry thrived, a rail link and airport were constructed and food-processing industry saw increased development. Gisborne’s population reached 20,000 in 1955, officially becoming recognised as the only city on the East Coast. The city continued to experience growth throughout the remaining part of the century, however from the early 2000s through to today the population has remained around the early forty thousands, it is thought largely due to a nationwide downturn in farming returns, although the port has remained busy due to a steady forestry industry. A severe 6.7 magnitude earthquake in 2007 resulted in damage to a number of buildings within the city, some collapsing under the strain. Injuries were limited although it is reported an elderly woman died shortly after the quake hit from a heart attack. In more recent times Gisborne was the location for the 2014 biographical film ‘The Dark Horse’ shot in 2013. Starring Cliff Curtis, the film depicts the personal challenges of Genesis Potini, the late speed-chess champion. March 2016 saw Gisborne host the premiere of the New Zealand film ‘Mahana’. Set in Patutahi and Manutuke, the film was based on the book Bulibasha: King Of The Gypsies by Witi Ihimaera. Gisborne city remains ever popular today, especially with sun-seeking holidaymakers drawn to its magnificent untouched native bushland, beautiful golden sandy beaches, the best fruit found anywhere in New Zealand and some wonderful wines that rival some of the best in the world. Plus add in fishing, yachting, golf, hiking, shopping and the perfect haven for surfers with popular locations like Makarori Point, Waikanae, Midway and Wainui providing some consistently good swells; there is certainly something for everyone. The really unique thing about Gisborne is that the history and culture of local Maori is heavily embedded in everyday life, providing a rare opportunity to experience this culture and its traditions first hand. Beautiful Maori Maraes or Meeting Houses, historical pa sites, Maori concerts and elaborate tribal carvings are just some examples of what you might see when visiting the wonderful city of Gisborne.